Fits most makes and models. 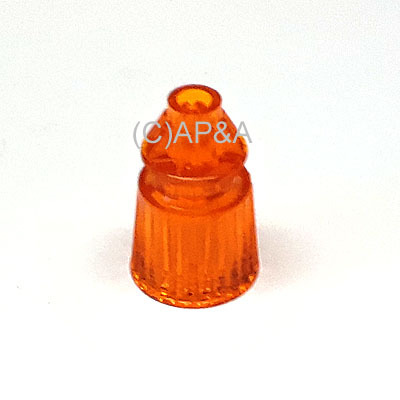 Plastic transparent amber (dark orange) post with 1 groove for rubber ring. Holds one 5/16-inch diameter rubber ring, or larger ring may go around this post, depending on application. 1-1/8 inches tall. Has 5/32 inch diameter hole through center for use on #6 or #8 size post screw or stud.